As the sole daughter of the chief priest, Hannah is publicly shamed when the prophet of Israel refuses to heal her. Determined to restore her family's honor, she escapes Jerusalem in hopes of finding the prophet and convincing him to restore her deformities. 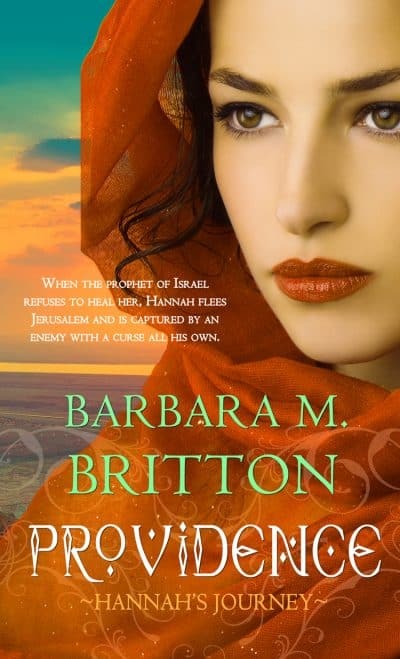 As the sole daughter of the chief priest, Hannah is publicly shamed when the prophet of Israel refuses to heal her. Determined to restore her family's honor, she escapes Jerusalem in hopes of finding the prophet and convincing him to restore her deformities. Gilead, a young Hebrew guard sympathetic to her plight, willingly accompanies her. On their way, they are captured by a band of raiders and Hannah is forced to serve in the household of the commander of the Aramean army, an officer who is in need of healing himself. Meanwhile, Gilead is being used as sword practice for the Aramean soldiers. Hannah must act fast to save Gilead and herself, but survival will mean coaxing the prophet of Israel to heal an enemy commander.